Arwen dropped the package next to the garbage can, convinced this was some kind of junk mail. Something rattled lightly as the box settled on the ground. She took a long hot shower and put on her pajamas. She hung her silk blouse so it wouldn’t wrinkle and looked at her reflection in the mirror. She felt better than she had in a long time. It was so reassuring to know where to sleep every night and know she couldn’t be evicted from it. She was still poor, but getting richer in hope every day. 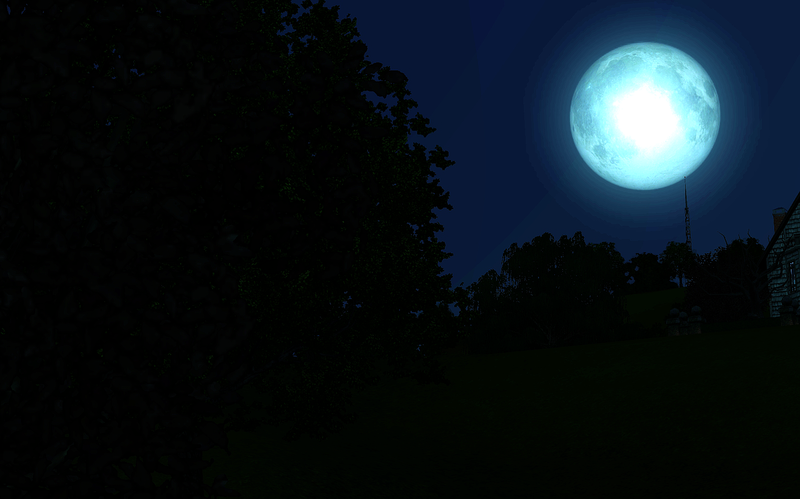 As she slipped under the covers, Arwen realized that the room was bright with moonlight and everything glowed eerily. She pushed the covers off. No way she could sleep in this light. Arwen wondered if she could stretch her money enough to purchase some curtains tomorrow… Otherwise, she’d have to cover the glass panes in newspaper. Newspaper… that reminded her of that odd package. 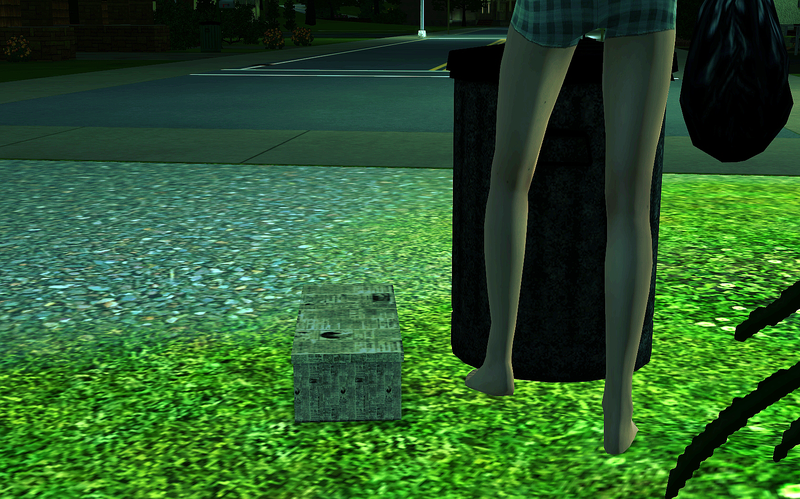 Arwen grabbed the garbage and made her way outside. The box was still next to the garbage can, though the string was gone. Had someone opened it? Arwen crouched and examined the box. She shook it lightly and heard a light object rattle inside. Remembering movie scenes, it crossed her mind that this looked like a warning box that may contain some dead animal or a snake ready to strike. Then she chuckled… I’m being silly… right? She pulled the box cover off and pulled off some straw. Well, isn’t this anti-climactic. She took out the object. It was only a wooden stick on a silly little pillow. How utterly boring. Arwen picked up the stick and stood up. She rotated her body to try and throw it as far as possible. 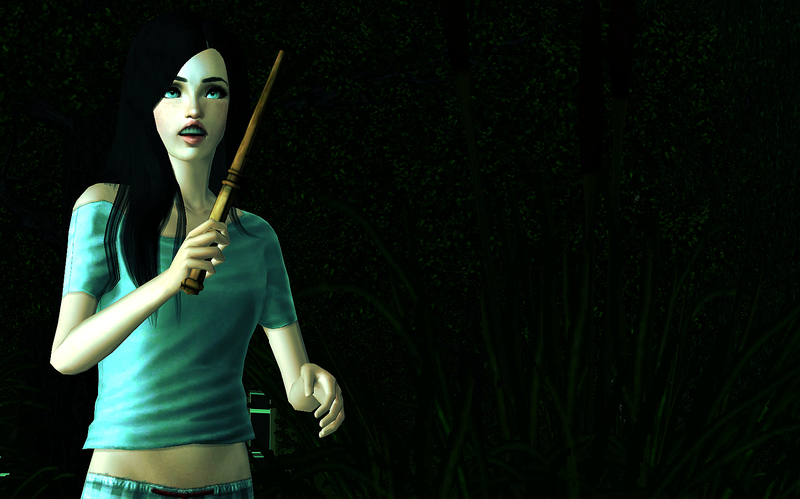 However, just before the stick escape her grasp, she felt something… electrifying. When she stopped her motion, the feeling vanished. 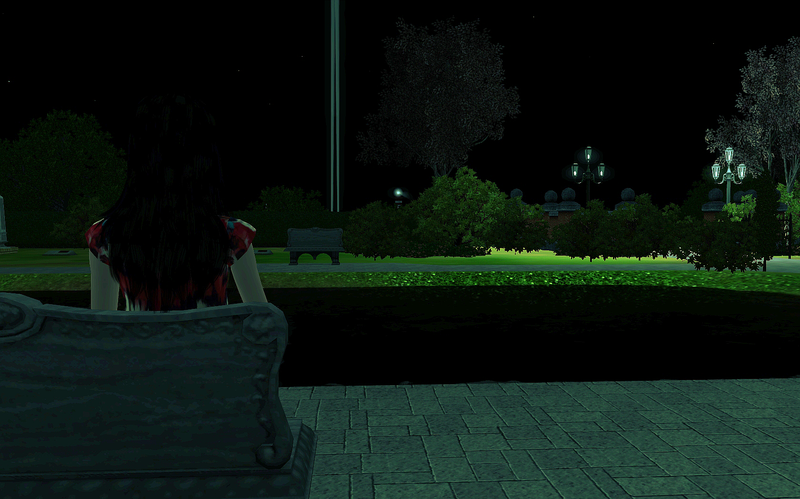 Interesting… So she flicked it forward again, this time harder, to see if the tingle would return to her hand. This time, lights and colours exploded out of the stick. Arwen smiled, amazed. This must have been some magician’s prop that made it to the wrong address. How did it work…? No longer bored, she examined it closely, shook it and pointed it in different directions, trying to figure out how the mechanism worked. Even after she dropped the stick, the electricity continued briefly to crackle over Arwen’s right hand, making her hair stand on end. She shook her hand and giggled. It tickled a bit. She brought the apple close to her face. The skin appeared to be moving… At that moment, a worm ate its way out of the skin. Ugh! Arwen chucked the rotten fruit in the garbage. Annoyed, she tried to throw the stick away once more, but it refused to leave her hand. She sighed and decided to get dressed and go on a walk. She was definitely wide awake now. The moon lit her way through a small path. Arwen ended up in a large cemetary. 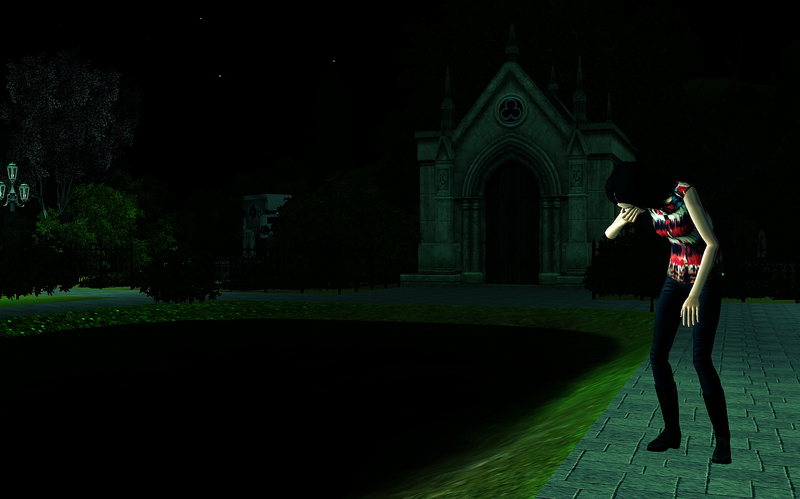 Statues and tombstones stood around a large, black pond. It was quiet and peaceful here. 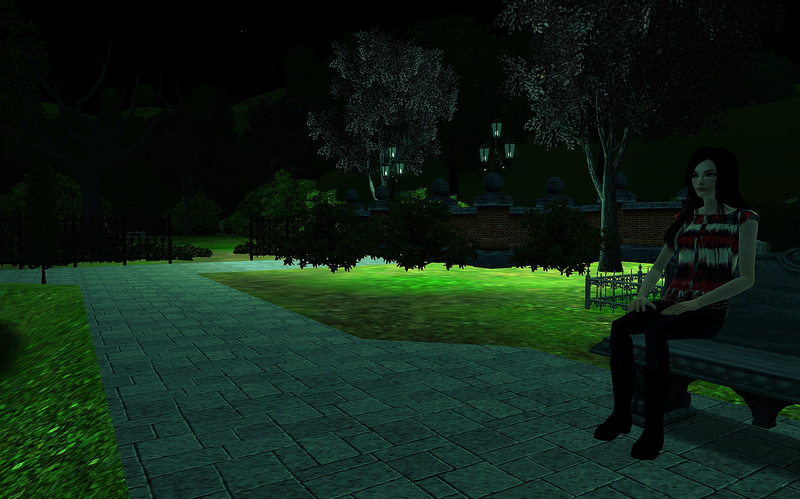 She found a stone bench and sat, thinking about the mysterious piece of wood. Her thoughts circled back to her mother and the note she had left behind. On the one hand, she resented the fact that her mother had abandoned her; on the other, she felt pity for the hard life she had clearly had. Then again, Arwen’s hadn’t been a walk in the park either, being bounced around from foster family to foster family, never belonging anywhere and never staying long enough to set up roots and truly bond with people. In the end, she had had to take matters in her own hands because she certainly couldn’t count on anyone. She could only trust herself. Arwen rose and walked to the edge of the pond, facing the moon, lost in her dark thoughts, circling around: her mother, the note, the Harridan debt, a magic stick… She rubbed her eyes, feeling a migraine coming on. I hope she gets better at using her newly found abilities. Her back story keeps getting more interesting. I feel bad for her, I hope things get better! oh! a wand! does this mean she’s some kind of witch? Is she the one with the powers or are all the powers inside the wand? I love this so much omg.